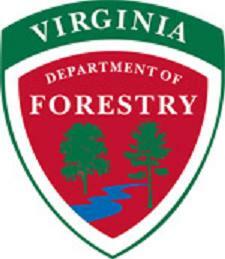 Every August, our agency assists the Virginia Department of Game and Inland Fisheries with their Mast Survey. Mast is not just a word to describe the tall post on ships; it is also a term used to describe the fruit of trees and plants that provide food sources for wildlife. Trees do not bear the same amount of fruit (i.e. nuts) reliably from year to year, so field staff are asked to rate the amount of fruit production on a dozen important mast species throughout the state. Two weeks ago in York County, we found several species loaded with their fruit. These (above) are pawpaws, which will turn dark brown when they ripen. If you happen to find some, the pulp can be eaten raw (watch out for the seeds), or Kentucky State University offers a list of recipes. The persimmons are still green, and will be ready to eat after a hard freeze when they are orange and sweet. If you bite into a green one, you are in for a bitter surprise. The flowering dogwood berries are also still green (above), and were easy to see on this branch because caterpillars had eaten the leaves. Each brown husk on this American beech (above) holds two beech nuts. These hickory nuts (above) are already on the ground, but a storm probably blew them out of a tree earlier this summer before they fully ripened. Whether or not the squirrels will eat them remains to be seen. Black bears, gray foxes, rabbits, mice, raccoons, quail, turkey, crows, blue jays and other birds also eat hickory nuts. We are still conducting our surveys, but the mast production on Virginia’s peninsulas looks promising.